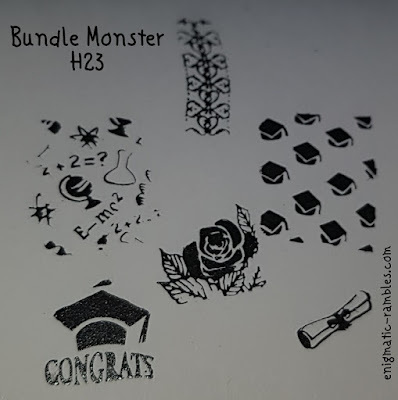 Today I am continuing with the Bundle Monster 'Holiday Collection' which consists of 25 different plates. 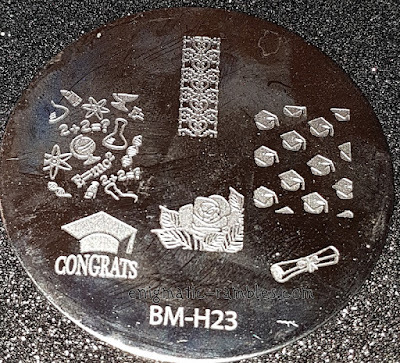 BM H23 is graduation themed. 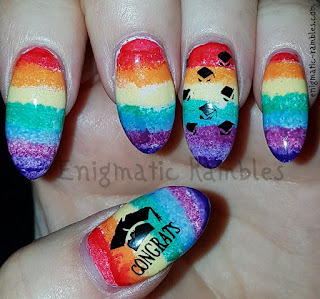 I didn't have this plate for either of my graduations but I would have worked one or more images on to my nails if I did! All of the images stamped across really well, some of the images are too short to fit on my longer nails. Of them all I think the present is one I would use more often as it isn't new born specific. That stamp is pretty cute, and I love it on top of that colour combo! !